A man has absolutely no reason to fear plaid, provided his direction is clear, honest, and well guided. We like floral prints, but they need to be handled like liquid nitrogen, as too much can light a street on fire, and not in a good way. The general rule to plaid is to limit it to only one piece at a time, and let the focus be on that. 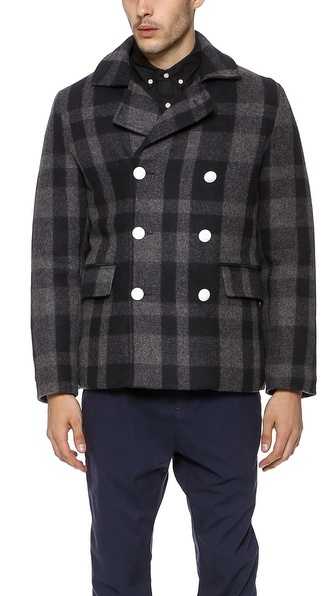 Take the Maison Kitsune Pea Coat above for example. However, there is always a time and place to break these rules, such as when—you just want to. We like to break the rules when it comes to style, but we also try to uphold at least one rule, and that is to break only one rule at a time. We’ve seen some stylists pull off an arsenal of prints, but in the real world, you probably don’t want to mix more than two patterns. 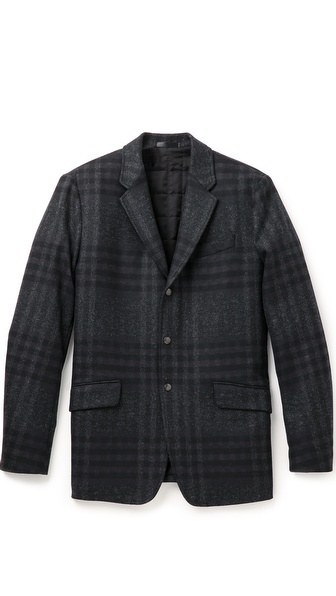 We like the mix of the N. Hollywood check blazer (above) with the subtle plaid of a pair of check chinos (below). This is how you can double up on the plaid without getting too obnoxious. No matter how crazy your plaid gets, you can always count on your base color to bring things home, or should I rather say, turn things down a notch. 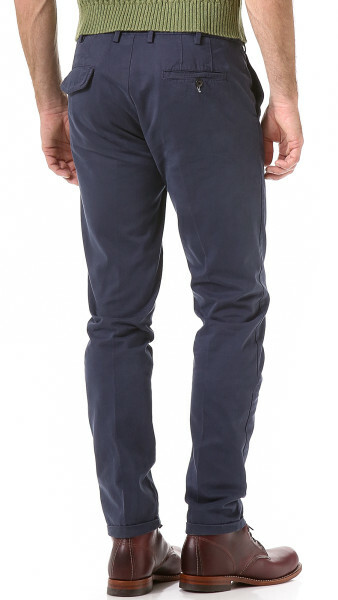 For the Fall/Winter season, we like our base to stay within the darker shades, like these blue Gant Rugger Winter Chinos (above). 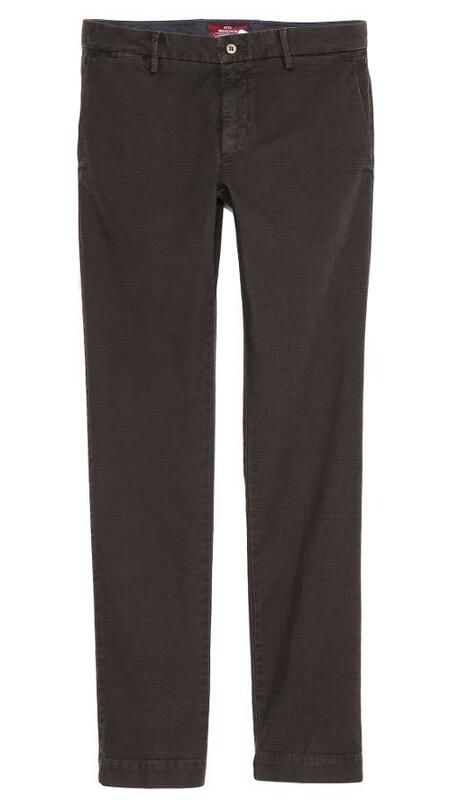 Some guys are committed to going full plaid, but we tend to keep it safe by grounding our colors and patterns with a nice solid foundation of either black, blue, or brown trousers/chinos. If you want to shake things up a little from here, we like the pattern designs of Happy Socks, or the professional appeal of a pair of Saint Laurent low top sneakers. 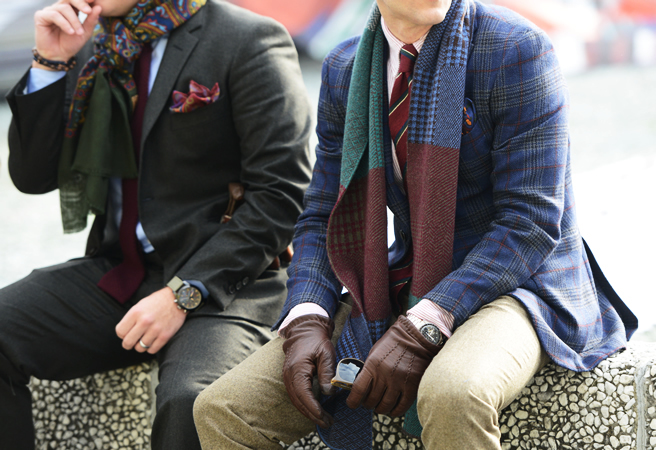 One of the easiest way to introduce some interest to any base outfit is to throw on a plaid tie or scarf. 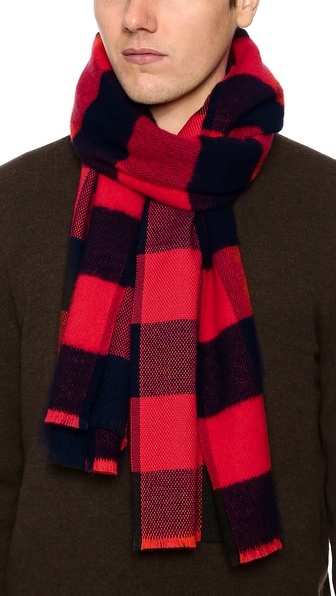 We like the winter appeal of the Rag & Bone Royal Red Pixel Plaid Scarf (above). And speaking of scarfs, don’t forget that layering is the safest way to make any style more interesting, because you can always peal it off if you find it is not working for you later in the day. Style and drive with your plaid responsibly… but as far as the style police go, you can get away with a lot more that you realize, so go a little crazy once in awhile–just because you can.